Something we love at Je Suis Flore are florals. 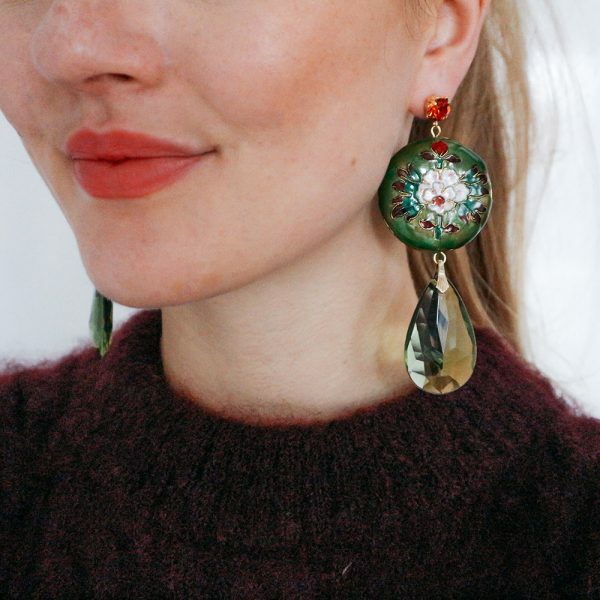 That is why we are obsessed with our green floral earrings. A true statement and piece of art! Make sure to discover our full floral collection and fell in love.. If there is something that we love at Je Suis Flore, it are florals. 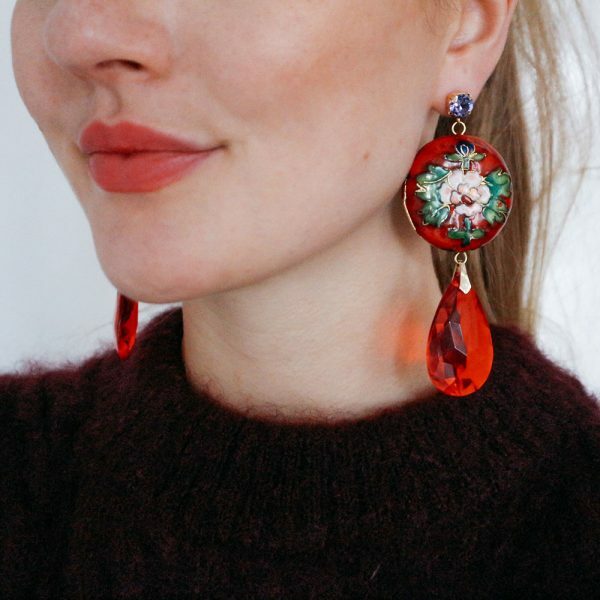 That is why we are obsessed with our floral earring collection. They are true statement and piece of art! Make sure to discover our full floral collection and fell in love. These green floral earrings are the perfect all season earrings. 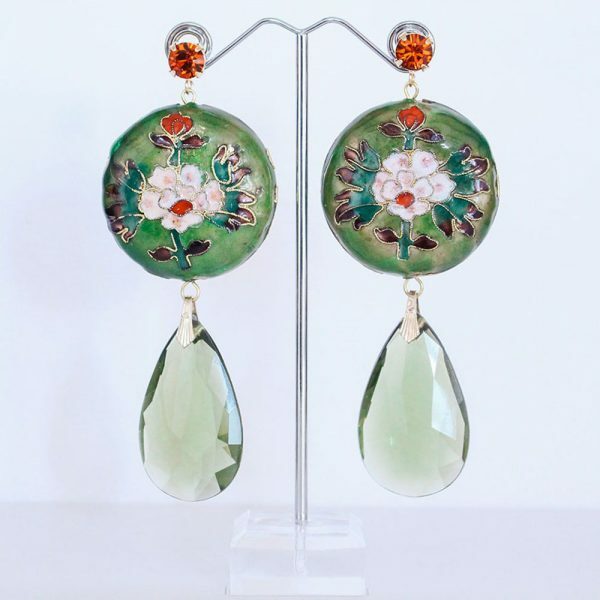 In combination with the orange Swarovski stone, green crystal and gold hardware, the green floral earrings have a fresh and classy look. 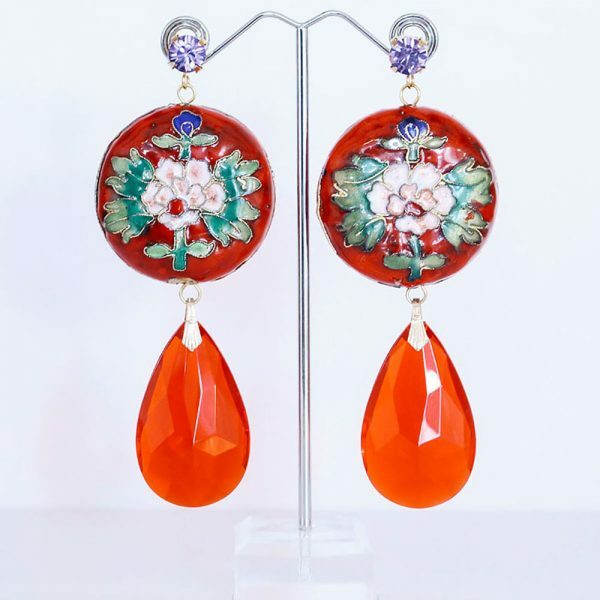 The base of this earring is the light weight floral bead, which is handcrafted and takes up to three to four hours per bead to create. 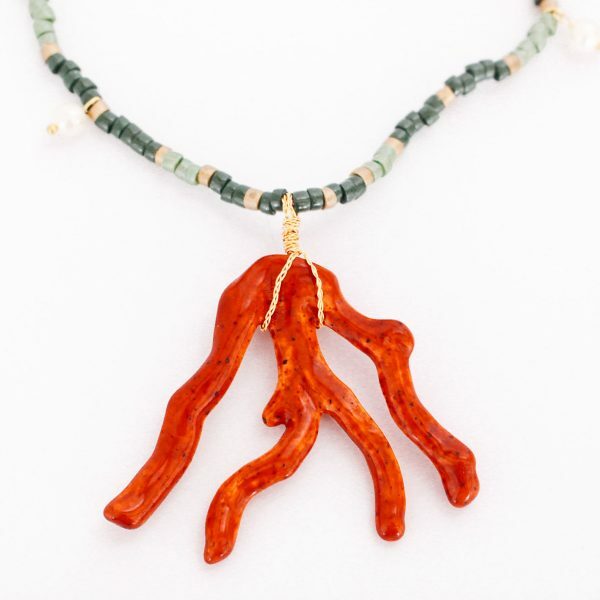 Now you can really say you are wearing a piece of art! We just want to note that the material is vulnerable and doesn’t like to fall from big heights. 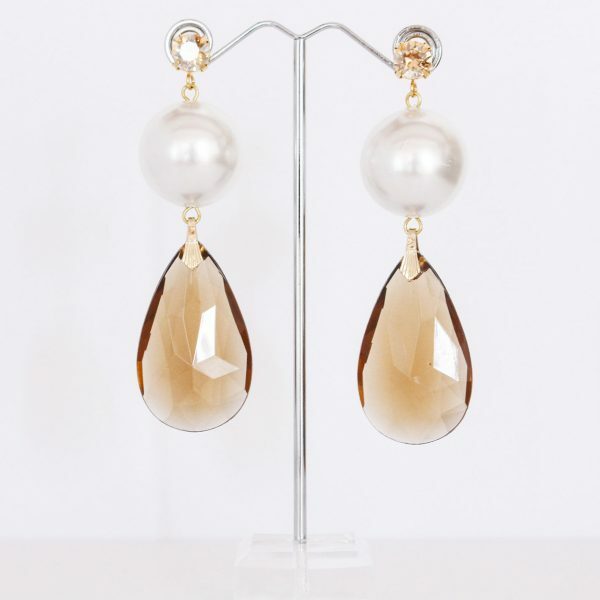 It’s like glass, so treat your earrings with care and they will be your best friend season after season. Je Suis Flore’s second collection is called ‘Holiday‘. Not without a reason, since it was launched in December and is there to make you ready for the party season! We believe in the power of statement jewels, especially when you are in for a party. Time to play with this and create new master pieces that will satisfy your eyes. 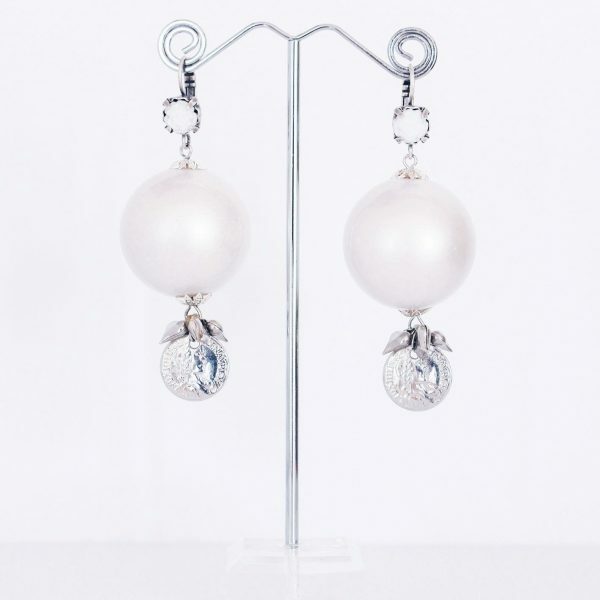 Treat your earrings in a right way to keep up the quality. Don't spray perfume on them, go swimming or showing. Storage them safe so they stay beautiful a lifetime.